Immolation is unquestionably one of the most consistent bands in the business, but production is where they differ most in terms of sound. The latest addition to their discography, Kingdom of Conspiracy, showcases each instrument fighting for a top spot in the mix, which severely limits the appeal to play the record past the first listen--expecting a faultless collection of music is not exactly unreasonable based on the band's impressive and storied legacy. Spinning this record is certainly satisfying, but growing accustomed to the brick-walled production is only achieved through persistence. Looking back to Here in After for crisp precision of instruments breaking crystal clear silence is not uncommon; with Kingdom of Conspiracy's overly computerized wall of sound, Immolation moves farther away from intimacy, instead favoring sonic perfection. No longer will listeners hear fingers delicately sliding across strings to reach the next chord, a cymbal crash's entire decay, or a labored breath taken before a vocal passage. 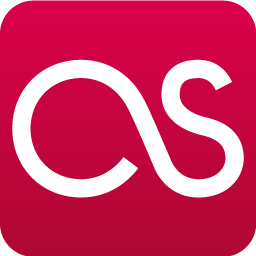 In a way, this is similar to electronic music and its polished, compressed quest for excellence--and completely expected, considering the way many productions, regardless of genre, steer contemporary music. As said earlier, Immolation are still the same band, proving where Vigna and Dolan excel with dissonant chord arrangements, eerie leads, and music that takes numerous listens to understand. Like the previous two records, Majesty and Decay and Providence, Kingdom of Conspiracy feels like a calculated approach to music, one that makes the three releases overlap rather than clash over differences. As a result, the album trio practically screams "leftovers" from other writing sessions, revealing no surprises upon playing the record for the first time. In fact, Kingdom of Conspiracy's shocker is the production, which is easily Immolation's least enjoyable to date. Even with the lack of discrepancy between records, Kingdom of Conspiracy is still solid and is, musically, worth the price of admission. Unlike other recent releases from veteran acts, Immolation stays very true to their roots: "Keep the Silence," for example, is a healthy exercise in brutality, offering a myriad of tempo changes, syncopated guitar riffs, and eye-watering instrumentation. As per tradition, the better part of the album is composed this way, but with the irritating production, the music grows tiresome from track to track. Astonishing as it is, this reviewer has little trouble admitting that Kingdom of Conspiracy is best experienced in sections, proclaiming the grating production as the culprit behind any dissatisfaction. Today, decent sound is commonly taken for granted, and Immolation pays the ultimate price with their latest release, a mess of ineptness surely credited to a rookie producer. 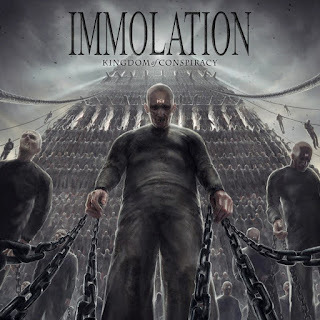 I am crossing my fingers for better sound next time around, but as I do, I am quietly pushing Kingdom of Conspiracy to the back as one of Immolation's worst releases.